With the frustration of the fiscal cliff and the tragedy of the Newtown shooting, the past month or so has been full of news that's tough to hear for a number of reasons. 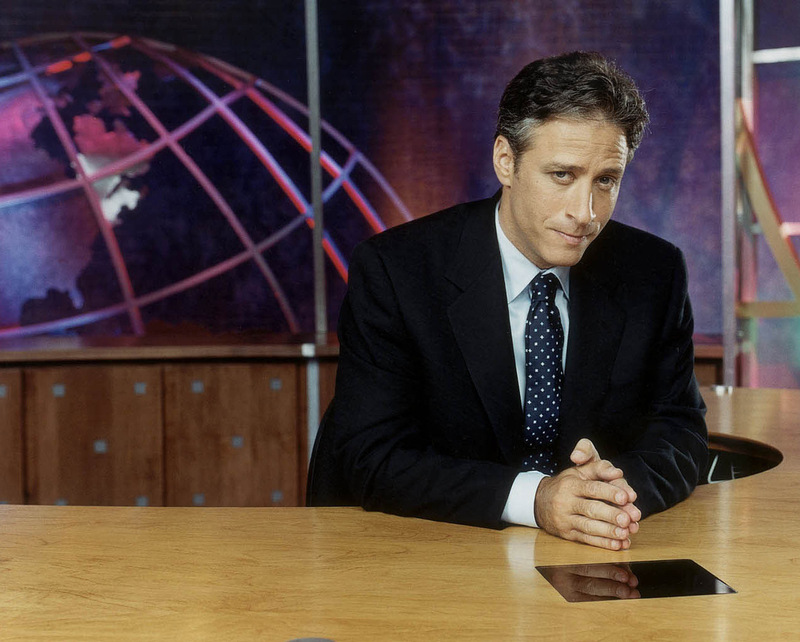 Here to help alleviate at least a smidgen of the confusion is Jon Stewart, as The Daily Show returns for its first show since December 13th, 2012. A lot has happened since then, but I wouldn't be surprised (or upset) to see Stewart address more fiscal cliff issues than Sandy Hook, as even America's most trusted comedian can't make funny out of that. The best show that you're not watching because it has the worst name (the show is aware of this, and consistently mocks itself) returns this week on a new network (TBS, having moved after ABC cancelled it). It will be a joy to see the Cul-de-Sac Crew back together, and hopefully the new home will fuel even better storytelling and joke-writing (though it may be impossible to top the creatively rich season 3). My two favorite movies of the year finally start expanding around the country, and I urge you all to see them both. Zero Dark Thirty is a gripping political thriller that says a good deal about post-9/11 America, and Amour is a horrendously depressing, but meticulously crafted tale of an elderly couple at the end of their lives. Chicagoans will now have access to both films; check if you do as well. Fringe, 30 Rock and The Office enter final runs: Three beloved shows (that may have become less beloved over time, but I digress) enter their final stages this week. Fringe returns on Friday, Jan. 11th, and ends just a week later on Friday, Jan. 18th. 30 Rock has a month left, airing its fifth to last episode on Thursday, Jan. 10th, and its final episode Thursday, Jan. 31st. We have more time to spend with The Office which also returns on Thursday, Jan. 10th, and ends sometime in the late spring. Justified: This is one of those shows that I mean to catch up on every year, but never do, given the landslide of other media I try to absorb. Perhaps this will be the year I finally dive in, but I probably won't before it premieres on Tuesday, Jan. 8th. While I can't vouch for this myself, I do know that if you're missing out on this every year, like I am, a lot of people are shaking their heads, telling us we have no idea how good this show is. Lost Jewelry by Raekwon & Legends from Shanghai by Pere Ubu: Two legends, albeit in very different musical realms, have new releases this week. Unfortunately, even though they both have many classics behind them, anticipation cannot be considered high for either release. Maybe they'll both surprise us, though, and either way, this means that 2013 music releases are finally starting to trickle out, which is good news indeed. Out Tuesday, Jan. 8th. Two-Lane Blacktop on Criterion: Criterion starts 2013 off with this movie from 1971, which features James Taylor and Dennis Wilson (from the Beach Boys) in their only acting roles. Criterion calls it an "existential punch" and "possibly the greatest road movie ever made". Out Tuesday, Jan. 8th. 1600 Penn: This doesn't look good perse, but it does star Josh Gad, who is very talented. Let's hope, for his sake at least, that NBC provides a steady paycheck for him as it does his Book of Mormon co-star Andrew Rannells (The New Normal). Premieres Thursday, Jan. 10th.